Create your own Dorothy Hood painting and email it to yourself at an interactive new art exhibit at the Art Museum of South Texas. With a goal of putting the exhibit on the road and the Corpus Christi museum on the national map, the exhibit of Hood’s work, which opened Sept. 30, will be on display until Jan. 8. Hood, who grew up in Bryan, bequeathed her work to a foundation that, in turn, gave her archives to The Art Museum of South Texas after her death in 2000. Hood spent most of her life as an artist in Mexico, living and working with Diego Rivera and Frida Kahlo among other famous Mexican artists. Hood moved to Houston after 40 years in Mexico. Her art reflects the light and environment of her surroundings and her love of South Texas, making the Corpus Christi museum a perfect repository for her life’s work. 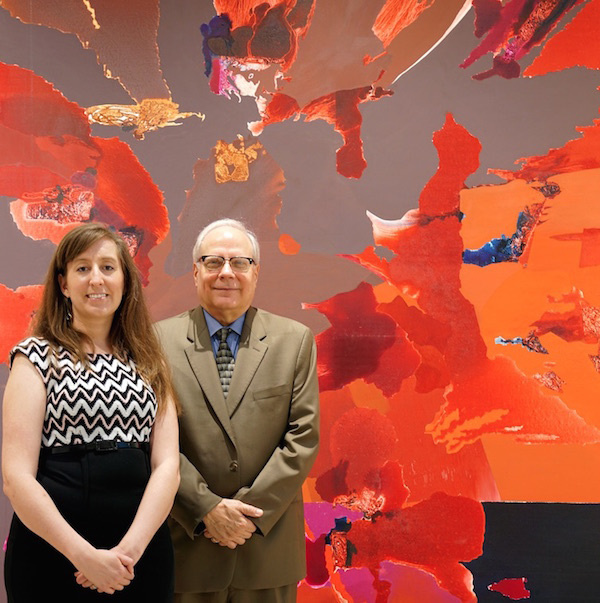 Museum director Joe Schenk, who initiated the project, called her an overlooked female artist who is now being discovered as one of the major modern artists of our times. She was mostly overlooked, Schenk said, because of where she lived. Another goal of the exhibit is to draw attention to the museum that houses her archives. With that in mind, the museum has gone beyond a display of art on walls. As the first major critical overview of Hood’s paintings and works on paper, “Dorothy Hood: The Color of Being/ El Color del Ser,” also incorporates modern technology designed to educate and enthrall museum visitors. One part of the exhibit allows viewers to create a “do-it-yourself Dorothy,” using technology to rearrange pieces of Hood’s work as a different abstract painting and, once satisfied, email it as a completed piece. The museum has also put together a vignette of Hood’s studio, including the chair she sat in and the drawing table and tools she used. Interviews with people who knew her well can be heard on computer tablets, and pieces of her work will be blown up to show the textures and materials she incorporated into her paintings. The Art Museum of South Texas is located at 1902 N. Shoreline Blvd. Museum hours are 10 a.m.-5 p.m. Tuesday-Saturday and 1-5 p.m. Sunday. The museum is closed Mondays. Admission is $8 for adults, $6 for seniors over 60 and active military, and $4 for students 13 and older. Admission is free for children under 12 and students at Texas A&M University-Corpus Christi.